Insurance is like a life jacket. It’s a bit of a nuisance when you don’t need it, but when you do need it, you’re more than thankful to have it. Without it, you could be one car wreck, illness or house fire away from drowning—not in the ocean, but in debt. One thing is for sure, living without any form of life-based insurance cover leaves your personal finances in a dangerous position. One of the common ways of falling into debt is through the unexpected need to replace a lost or damaged asset that was not insured and your greatest assets is your ability to earn. If that was suddenly removed from you. Your debt could quickly follow. The purpose of insurance is to transfer risk and if something bad happens, insurance company, good news is that once you have coverage in place, you can rest a little easier. 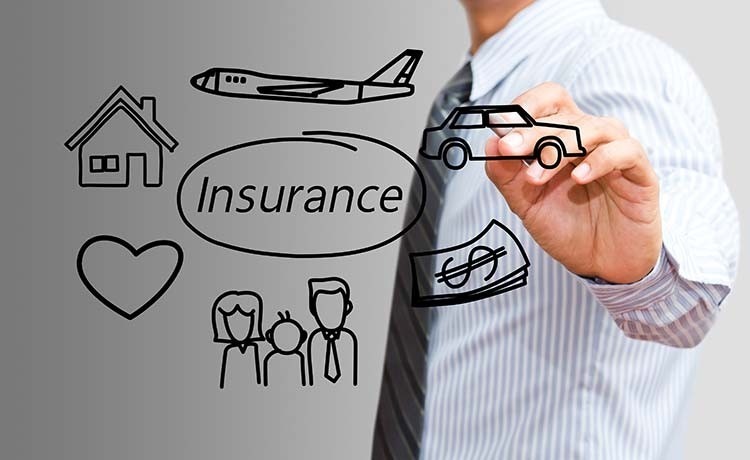 The first important insurance is life insurance; this protects your dependents in the case of anything happening to you. The second is income protection insurance; this protects you and your depends in a situation where you are unable to work because of some sort of illness. The important thing to remember about life insurance is that it is not for you. Yes, it is your life that is insured, but the policy is for the benefit of your dependents. It’s to ensure that they are able to live with some quality of lifestyle in the event that you’re not there to provide for them. We almost always insure our most valuable assets right? I mean, it would be crazy not to. So, you’ve probably taken out insurance on your house, your car, your possessions… but none of these are your most valuable asset. Your most valuable asset is your ability to earn an income, and this needs to be protected because without it, you cannot pay your bills. Liability coverage: If you’re responsible for an accident, your liability coverage will cover the costs of any injuries or property damage caused in the collision. Most states require you to carry a minimum amount of coverage, so check with your insurance agent to understand your basic requirement. Collision coverage: This covers the cost to repair or replace your car if it’s damaged or destroyed in a wreck. Comprehensive coverage: This level of insurance covers your losses that aren’t caused by a wreck such as theft, vandalism, flood, fire and hail. Again, an insurance agent is a good resource to help you determine the level of protection you need based on the type of car you drive. They can help you determine how much care insurance you really need. Be sure your homeowner’s policy includes extended dwelling coverage. Extended dwelling coverage adds an extra layer of protection above your policy limits. With extended dwelling coverage, the insurance company will replace or rebuild your property even if the cost exceeds your policy’s coverage. There is a limit to how much they’ll pay, however—usually 20–25% above the amount you’re insured for unless you opt for more coverage. Keep in mind, the higher your home’s value, the higher the need for extended dwelling coverage. Another note about homeowners insurance: Check with your agent about what your policy covers and what it doesn’t. Flood Insurance: Most homeowners don’t know that flood insurance is excluded from their policies. Flood insurance is also different from water backup protection. Ask your agent to go over the details with you. If you’re a renter, you’re not off the hook for insurance. Without renters insurance, it’s up to you to replace your belongings if they are lost in a fire, flood, burglary or some other disaster. A good independent insurance agent can walk you through the steps of covering the basics of both homeowners and renters insurance. Remember, if your full emergency fund is in place, you can take a higher deductible and lower the premium on your policy to save money. Medical debt contributes to nearly half of all bankruptcies in the world. If you’re uninsured/don’t have medical aid, you’re leaving yourself vulnerable to potential financial catastrophe. One unexpected major medical emergency could amount to hundreds of thousands of Rands of expenses. So don’t put yourself in a situation where you are over-indebted and need debt solutions. At National Debt Advisors, we can help you get out of debt if you are struggling to keep up with spiralling interest rates and debt consolidation loans or cannot afford to save every month. By speaking to one of our debt counselling expects we will be able to provide you with a tailor-made debt solution that meets your monthly financial obligations in one consolidated payment, protects your assets from credit providers, and gives you immediate cash flow relief to alleviate financial pressures and lead a lasting debt-free life. Pick ‘n Pay allows consumers to buy food on credit.